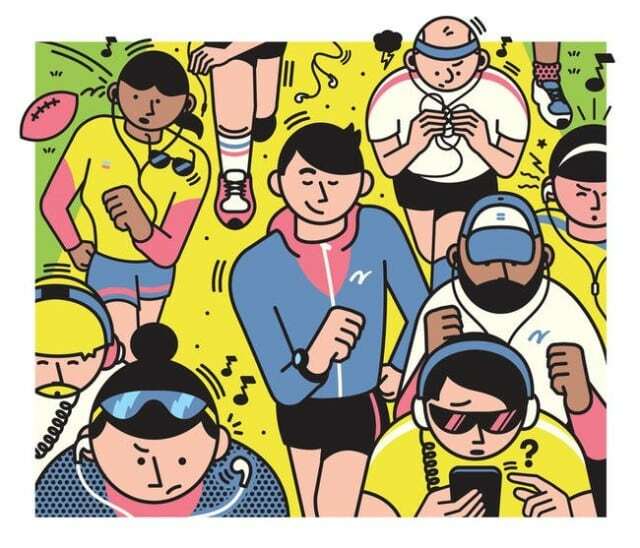 Ditch those earbuds and tune in to your run. You’ll survive! Running to the beat of an energising song can cause you to push too hard too early – and you’ll slow down as your workout goes on. Tuning into your breathing and effort level activates your conscious brain, which can help you meter your pace. If that makes you hyper-aware of how achy, tired, or bored you are, a better distraction might be running with a friend or a group. In this case, you’ll be able to use the “talk test” to ensure you’re not going too fast: You want to be able to carry on a conversation with ease as you run. Of course, this only works if your buddies are also willing to forgo headphones! By focusing on the way you feel in your environment, you can better see the sights and hear the sounds of life around you. You will notice architectural details you missed before, feel the vibrant energy of other people going about their days, and smell the beans being roasted at the corner coffee shop. And lest you think “noticing” sounds awfully hippie-dippie, remember that it also can help keep you safe from some distracted drivers, wayward dogs, and dangerous people. If you’re a beginner, not that long ago you may have said, “Running? So boring. Why on earth would I do that?” If that’s how you currently feel about running without your favourite auditory distraction, consider the possibility that you might prefer running headphone-less – if you’d just give it a chance. Try leaving your ’buds at home once or twice a week for at least a month. If those runs are immeasurably miserable, well, at least you tried – but you’ll likely learn you don’t need distractions as much as you thought you did. Jeff Galloway is a 10,000-metre Olympian and well-known coach who promotes the run-walk method.